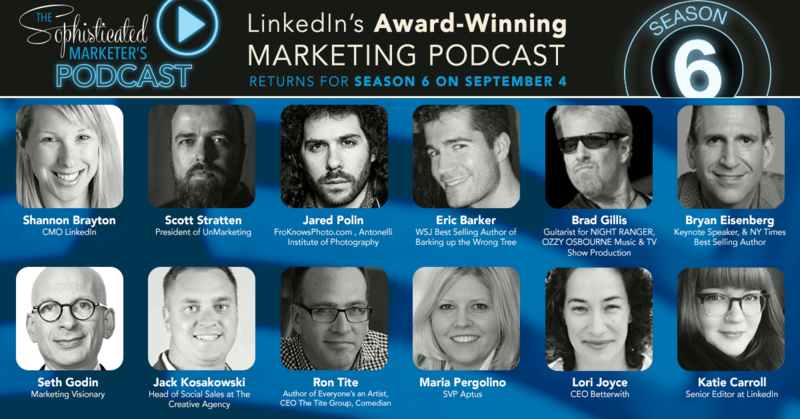 There’s never been more potential for leveraging video as a content marketing asset – and there’s nobody who knows more about using video to build a following than Jared Polin. Once upon a time, Jared had a job selling cameras in a store. He was what you might call a photo geek: full of pent-up technical knowledge about camera lenses, shutter speeds and features. 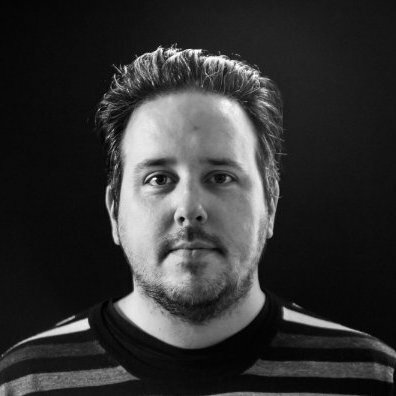 But Jared also had a passion for cutting through the technical jargon and helping customers understand what really makes a difference when it comes to capturing great images. It’s this passion that has made him one of the most successful social media influencers around. He’s built a global brand, Fro Knows Photo, that’s an essential part of life for anyone with a semi-serious interest in photography. He’s proved that you can translate technical, specialist knowledge into serious influence on social media (something any B2B content marketer should be interested in). Most importantly of all, he knows exactly what it takes to create fantastic video content with just yourself, a camera and the confidence to go for it. It’s now easier than ever to share native video in the LinkedIn feed – and there’s more value than ever to be gained from doing so. Video has been proven to increase engagement and effectiveness for Sponsored Content and it’s a format that’s increasingly valued by C-suite and senior decision-maker audiences. This is especially true when you can find a way to create videos that go beyond the standard talking head approach: creative, engaging, with an attitude that compels people to listen. When you can tell a story visually, compose and frame a shot to grab and keep an audience’s attention, and align your content with the community that's’ following you, then you’ve got a great starting point. That’s why it’s worth spending 30 minutes with Jared and this episode of The Sophisticated Marketer’s Podcast. You’ll learn how to create better and more engaging pictures and videos, whether you’re shooting with a camera or just with an iPhone. You’ll learn how to build a community around video content. And you’ll learn how Jared has built a global business and media brand through a passionate commitment to sharing his particular expertise with a relevant audience. Everybody Writes by Ann Handley is one of my favourite books about content marketing – because of its central message that anybody is capable of creating compelling content if they apply themselves to it. Talking to Jared leaves you with a similar impression of video content. He’s an entirely self-taught vlogger who’s found success by creating content, putting it out there, seeing what works and learning as he goes. If you have expertise to share, you can do the same. It’s still the thing that holds most people back from creating influential video content – that nagging fear of putting yourself out there visibly, for others to comment on. In our interview, Jared talks about how he overcame his own lack of confidence and learned to focus on what he’s doing rather than imagining the audience watching. Belly dancing on a table might not be everyone’s idea of getting yourself in the frame of mind to create content – but it clearly works! 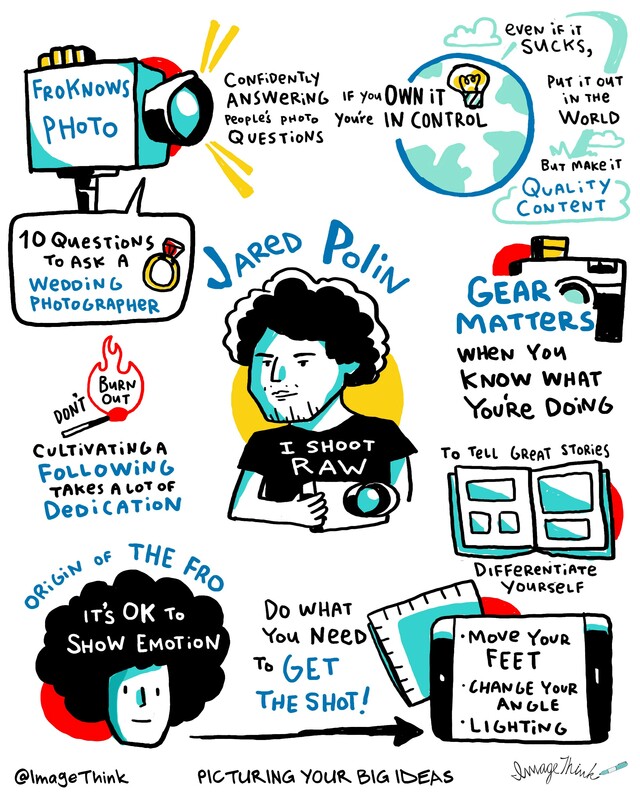 You may have no film crew, no fancy camera and nobody to help you – but Jared Polin insists that shouldn’t stop you from creating video. He argues that he can shoot images on an iPhone that are better than many captured on fancy digital cameras, for the simple reason that he knows what he’s doing. Learn the basics of recording a presentable video, and it’s something you can do alone. The huge advantage is that this puts you in control. It’s easy to create impactful video content quickly, as and when you need it. I’ve always argued that it’s worth learning some basic video editing software – it gives you more flexibility and helps you control pace and length. However, as Jared argues, not being able to edit video shouldn’t stop you from creating and sharing it. Giving yourself the challenge of capturing everything you want to say in one take can be a great creative constraint. If you stumble and mumble a little, don’t worry. It can humanize the content and show you’re being authentic. Jared told me how, when he was starting out creating videos as a way of scoring more photography jobs, he made a point of answering every question that he was asked about being a better photographer. He even got people to Skype him on camera so that they could discuss their questions in a live chat. He treated every comment and question as a new content opportunity and using video to answer those questions brought him closer to his audience. It’s fair to say that Jared doesn’t lose too much sleep worrying about whether he should record video vertically or horizontally: “There are bigger things in the world to worry about than how somebody holds a camera.” The most important thing about how you frame a video is that you’re consistent and don't move the camera orientation mid-shot. Beyond that, get on with it and get it out there. As a concert photographer myself, I asked Jared about how he goes about telling stories through a camera – and I think his answer says a lot about video storytelling, as well. It involves thinking in advance about the story you want to tell and the shots you need to tell it. Train yourself to think in terms of a visual storyboard and seeing different frames in your head. If you’re simply filming someone recording a podcast, that storyboard could include everything from wide-angles to tighter shots and details of a mouth talking into a microphone. Personally, I find it helpful to watch favorite old movies and train myself to concentrate on the sequence of shots and the way that they engage me as a viewer. If you’re taking shots on a smartphone, there are a few golden rules: never use digital zoom (you’re just reducing image quality), never crop shots (just move closer so that your subject fills the frame), and keep your flash under control. If need be, get a friend to switch the light on their phone on and use it to illuminate your shot so that the flash doesn’t go off. Simple tricks – but they make a big difference. Whether shooting photos or videos, play with different angles. I loved Jared’s advice on taking pictures of children for example: go down on one knee and photograph them on their level. Your shot will instantly look more professional. As a concert photographer, I asked him how I could take shots that stand out from the pit at the front of the stage. His answer was simple: try to get out of the pit at the front of the stage! Get some type of access or angle that nobody else has. It’s great advice – and it applies to every piece of visual content you’re creating. Special thanks to our friends at Image Think for this incredible graphic. Check out their website here. If you’re just discovering us, you can catch up on all the previous episodes of the Sophisticated Marketer’s Podcast here. Tweet your review @JasonMillerCA for a chance to win Sophisticated Marketer’s swag. Thanks again!